The Nikonians Photography Awards 2017 is an opportunity for photographers of all levels to enter their work and engage with peers in the photo industry, be eligible for awards including an online exhibition of your photos, and get professional reviews and critiques of your work. For the first time ever Nikonians is offering opportunities for recognition, exposure, opportunities for learning with professionals and amazing awards that can help you further develop your creativity and passion for photography. 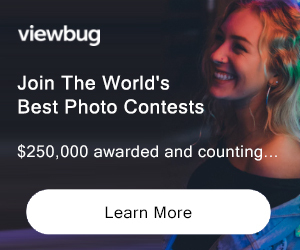 Plus through a partnership with LensCulture you will receive direct feedback on your entry from a photo industry professional through a FREE written submission review, one of their most popular service offerings. Don’t delay in entering your work! PRIZE DETAILS: $10,000 in Camera Equipment Winning photographers will receive vouchers to purchase the camera equipment of their choice from BH Photo Video. Cameras, lenses, drones, tripods, flashes, lighting, filters, accessaries & more are available from brands including Canon, Nikon, Fujifilm, Leica, Olympus, Sony so many more. You can select whatever equipment you are looking for from the brand of your choice, or get the cash. Professional Review & Critique of Your Work Every single photographer who enters 5 or more photos will receive a submission review from our partners at LensCulture. LensCulture is the premier destination for discovering contemporary photography and they are dedicated to helping photographers of all levels move forward creatively and professionally. These submission reviews deliver insightful, critical feedback plus recommendations for improving your practice and preparing your work for such opportunities as competitions, grants, juried exhibitions, and other calls for entries. LensCulture has over 100 trusted and qualified educators, photo editors, curators, publishers, gallerists, and other industry professionals who provide meaningful critiques and actionable feedback on your photography. Online Workshops and Learning Opportunities Winning photographers and finalists will receive vouchers to select a series of their choice in classes from CreativeLive Camera & Gear curriculum. Plus, enjoy a 10% off discount good for a full year of Nikonians in person learning events including workshops in Galapagos, Iceland, Sri Lanka, Cuba, Tokyo, and more as well as the twice yearly Annual Nikonians Photo Adventure Trip. Nikonians Platinum Membership All winning photographers will receive a free one-year platinum membership to Nikonians. Immediate Exposure Opportunities The sooner you enter, the better your chance to be selected by Nikonian editors for immediate exposure in our Competition Gallery, which is seen by our global audience. Some of these entries selected by the Nikonians editorial team will also be shared across our online channels. Access to additional opportunities and resources to share your work and gain recognition and exposure are provided to all participating photographers. Massive Exposure to our Nikonians audience with an online exhibition Winning images will be showcased in the Nikonians 2017 Online Exhibition, accessible by photography-lovers all over the world immediately after the results are announced as well as long after the competition closes. Selected photographers will also be published in feature articles on Nikonians.org and published across Nikonians social media and editorial channels. Not eligible to enter? - Find contest where you are. COPYRIGHT: You are the sole copyright owner and creator of the photographs. USAGE RIGHTS: 6.1. 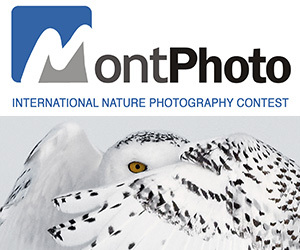 All entrants agree that all photograph(s) submitted to the competition may be reproduced (with photographer copyright credit) and used to conduct and promote LensCulture competitions. You hereby grant LensCulture with a right to use submitted photographs in the framework of such promotional activities.